You immediately receive your Completion Certificate via email as soon as you pass the final test. ALL California county courts accept this certificate as proof of traffic school completion (see list below), and we save you the hassle by electronically sending it to the court on your behalf. We electronically send your Completion Certificate and citation information to the DMV and court within 3 business days for free (other schools may charge you extra for processing and even to receive your Certificate). In a rush? Select our optional EXPRESS Same Business Day Processing upgrade (see below). Because we send your Completion Certificate electronically, it isn't lost in the mail and all information is securely and correctly received by the DMV and court the same business day we send it. 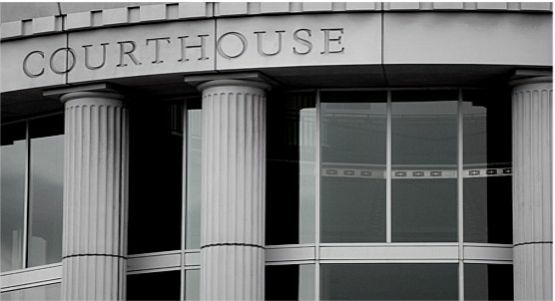 Note: You must have paid all bail amounts and fees due to the court or they may reject your Completion Certificate. We only send certificates to California courts. If your ticket is from a non-California court, you must obtain approval to attend our California traffic school. Once you pass the course you must print out and mail your certificate to the out of state court. If your ticket is from a Federal Court, you must print out and mail your certificate to them along with your payment. 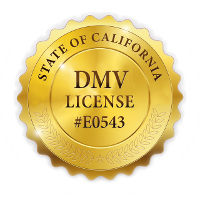 1) We electronically send your certificate to the California DMV/Court Central Traffic School Database. 2) A court administrator from your court downloads your certificate from the central database to their local database; this is when your certificate shows up in a local court's system. This can take one day or a few weeks. 3) The court administrator determines if you have met all of the court's requirements to have your certificate accepted (paid all fines, met due date, approved to take traffic school, etc.). 4) If you have met all of the court's requirements, your certificate is processed and the court electronically informs the DMV to mask your ticket and not show it on your public driving record. Note: If you are a commercial driver, the point will still show on your driving record, but one point will not be counted towards your total point count. 5) If you have not met all of the court's requirements, the court rejects your certificate. The court may or may not inform you or us of this rejection. Only the court knows the reason(s) for rejection and we do not have access to this court information. We recommend you follow-up with the court 30 days after you pass (look on the court's website or call) to ensure they have dismissed your ticket. Sign Up Now Why Choose Us? Receive proof that you met your traffic school deadline. We send you an email notifying you of the time and date your Completion Certificate was sent to the court and DMV. Upgrade fee of $3.95.